I found this neckpiece in a Salvation Army thrift shop for $7 a few days ago and immediately spotted its potential. 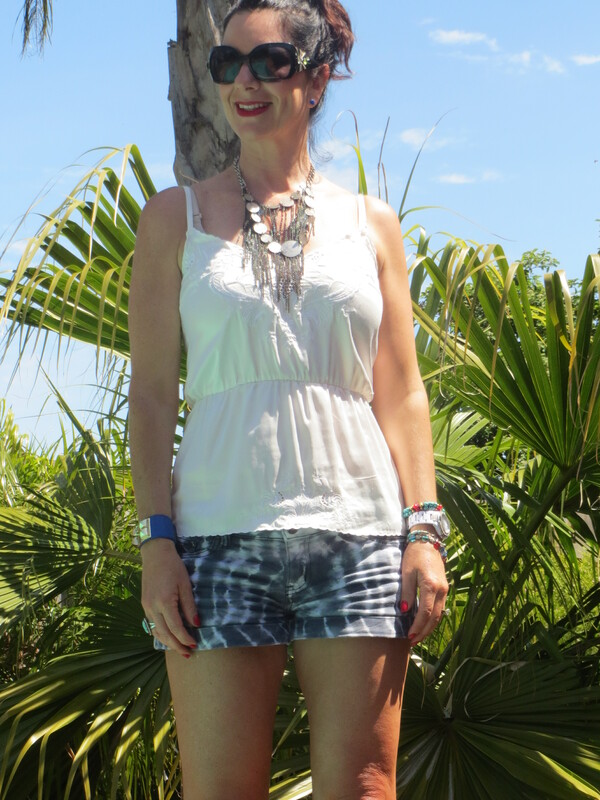 Love the cascading chains and today I built this outfit around it – silk Ladakh cami, Valleygirl tie-dye shorts, and added a pop of colour with red boot-shoes. Ahhh Melbourne you really turned it on today with beautiful sunshine and warmth. We will lap it up tomorrow before it turns cold and rainy on Sunday. Typical unpredictable springtime. 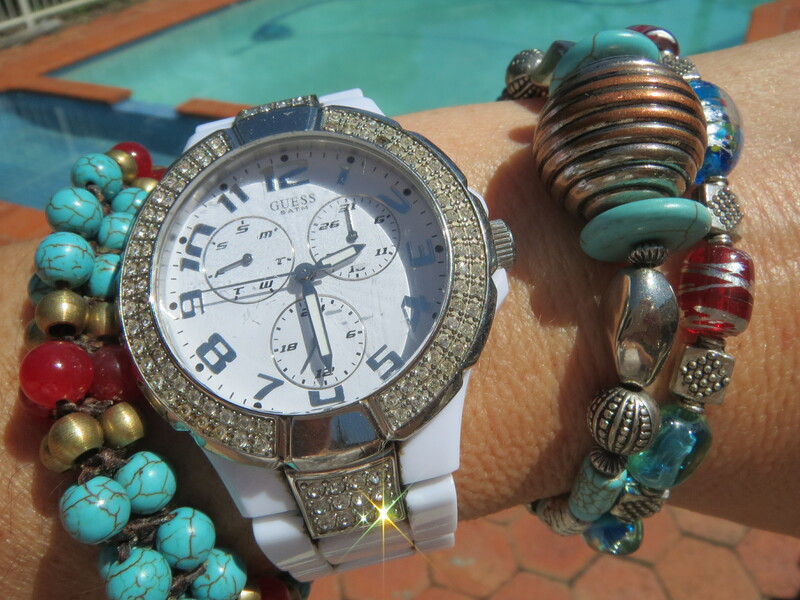 Spring is the perfect time to experiment with colour and accessories. Don’t hold back! 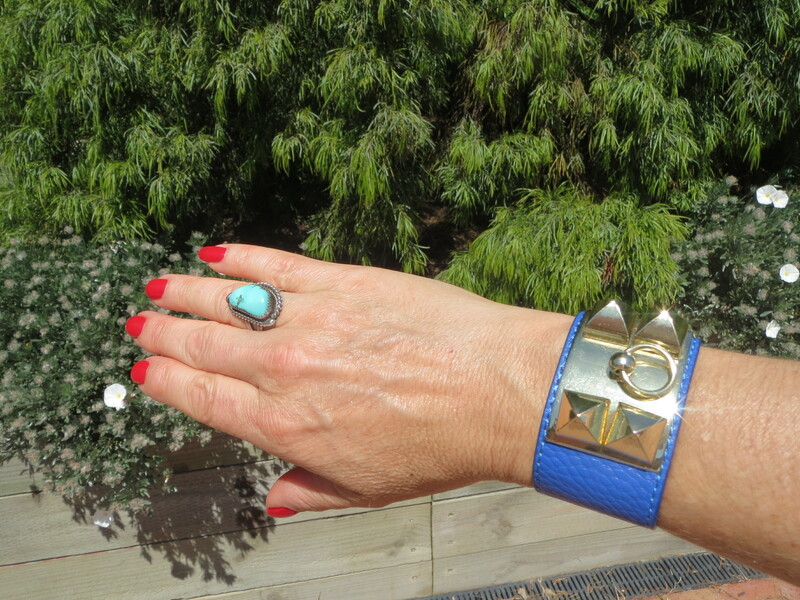 And if your jewellery drawer needs a shake-up, why not try a cuff like this Diva number. Have an amazing weekend. And now you’re Looking Good Girls! “The kingdom of heaven is like treasure hidden in a field. When a man found it, he hid it again, and then in his joy went and sold all he had and bought that field,” Matthew 13:44.